Airborne Infantry, Adjutant General, ORSA / ADP. Vietnam March 1970-1971. MACCORDS Advisory Team 89 and 1st Calvary Division - Commanded HE and HA Psychological Warfare Teams. Had 21 different jobs in 20 years and moved 16 times - Served at every level of the Army from Platoon to the Army Staff and Office of Secretary of Defense. Two tours at the Pentagon. 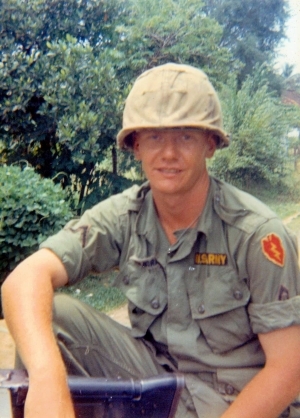 Jeff Benoit, Class of 1966 - UA Army, Vietnam 67-68, 9th infantry. Served in Mekong Delta during Tet Offensive. Came home to Ft. Meade Md. to finish out his 2 years and patrolled Washington DC during the riots and civil unrest. Wayne Boyer, class of 1964 - Naval Security Group, NAS Kamiseya, Japan, 1964-1967 also retired Senior Chief, Seabees, 1973 through 2000. Jim Buckland, Class of 1968 - US Air Force, four years and three months, including two tours in Viet Nam. I arrived in Viet Nam 2 Feb 1970 and departed 01 Feb 1971. Following a thirty day leave in the Us, I volunteered to return to Viet Nam and arrived 3 Mar 1971. Eight months into my second tour, November 1971, I was transferred to the hospital in Wiesbaden, West Germany. I took a discharge in Germany in December 1972 and remained in Germany as a civilian until June 1973. 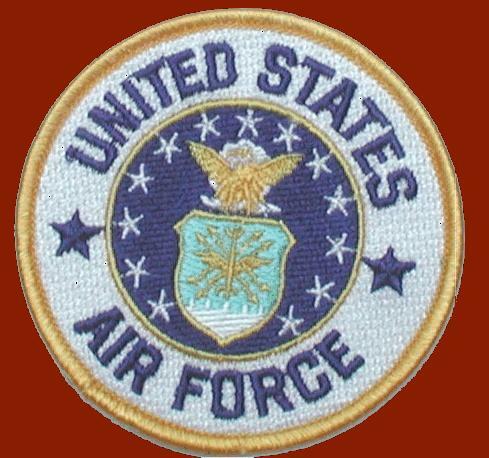 In Viet Nam I served both tours with the 834th Air Division, 377th Combat Support Group as an Air Mobility Ops tech. I arrived as an Airman First Class and left as a Staff Sargent. I was assigned to the Airlift Control Element (ALCE) and the mobile Transportable Airlift Control Element (TALCE) with the the USAF Combat Control Teams. Robert Burgess, Class of 1964 - USMC, 1965-1969 - Pendleton, Okinawa, Japan. Bruce T. Caldwell, Class of 1966 - I served in the Delaware Air National Guard, 142nd AES as a Medical Service Specialist (Aero Medical Evacuation) AFSC: A90250, from 1966-1972. I enlisted under the buddy plan with the late Charles (Chuck) Skinner II (Class of ’66). I flew TDY missions as a Medic in Europe stationed at Rhein-Main, Germany caring for and air lifting patients throughout Europe including: Turkey; Greece; Italy; Crete; and several other countries; as well as live CONUS missions from McGuire AFB, NJ during my training. I volunteered for active duty during the Tet offensive 1968 Vietnam caring for the critically ill and seriously wounded on missions from Yakota AFB, Japan to Elmendorf AFB, Alaska on Air Force C141A aircraft (Chuck Skinner also volunteered during this time). Presently (2012), I’m a member of the U.S. Coast Guard Auxiliary (Dept. of Homeland Security). John "Joe" Chlebowski, Class of 1963 - I enlisted in the Navy in late 1965 and served 2 years aboard the aircraft carrier USS Forrestal (CVA 59) and left active duty as a Disbursing Clerk, Petty Officer 2nd Class. Saw service in "the Med", Caribbean and a Westpac cruise in 1967. 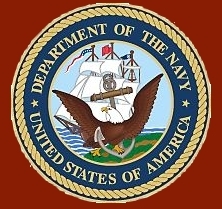 Ron Clough, Class of 1966 - I served in the U.S. Navy from 1968 until 1972 and achieved the rank of Aviation Electronics Technician, Second Class. Frank DiMatteo, Class of 1964 – US Army - October 65 - October 68 - Basic (Ft. Gordon) - AIT (Infantry)(Ft. Dix). Vietnam - 11/66-11/67 - traveled to RVN by ship (USS Gen. Daniel Sulton) as past of the 199th Light Infantry Brigade - finished duty back at Ft. Dix, NJ. Jacqueline Fry Brewer, Conrad graduate 1974 - PRCS(AW) USN (Retired), Served in the US Navy from 1974- 1995. Jim Fulmer, Class of 1973 - Served 6 years (1973 – 1979) in the United States Air Force. Gary Gagnon, USAF 1977-1998, Pease AFB, New Hampshire, Dover, De, Norton AFB, California, Rhein Main, Germany, and Gunter AB, Alabama. Steven Gawczynski, Sr - Class of 1964, U.S. Navy - 20 yrs as Cryptologic Technician. Also served as a Navy Recruiter for 10 yrs, for DE, PA, & MD areas. Vinnie Hughto My husband John F. Hughto graduated in 1967 went right into the US Army and served in Vietnam. Jaci Johnson Hibshman, Class of '74, served in the air force 1975-79. Stationed in Germany: 1st Bn 41st FA Rgmt, 2nd Sqdn 11th Armored Cav. Rgmt. (Blackhorse unit). Korea: three one year unaccompanied tours: 6th Bn. 37th FA Rgmt., 2nd Bn. 72 Armored Rgmt., and TANGO Security Force 8th Army. USA: Ft. Sill, OK.: 2Bn. 36th FA Rgmt., Ft. Bliss, TX. : 5th Bn. 62 ADA and 11th ADA, 1st Sqdn. 3rd ACR;Ft. Hood, TX. : 3rd Bn. 67 AR, 1st Bn. 66AR, and 4th FSB. Ft. Riley, KS. : 101st Forward Support Bn.. Ft. Drum, NY. 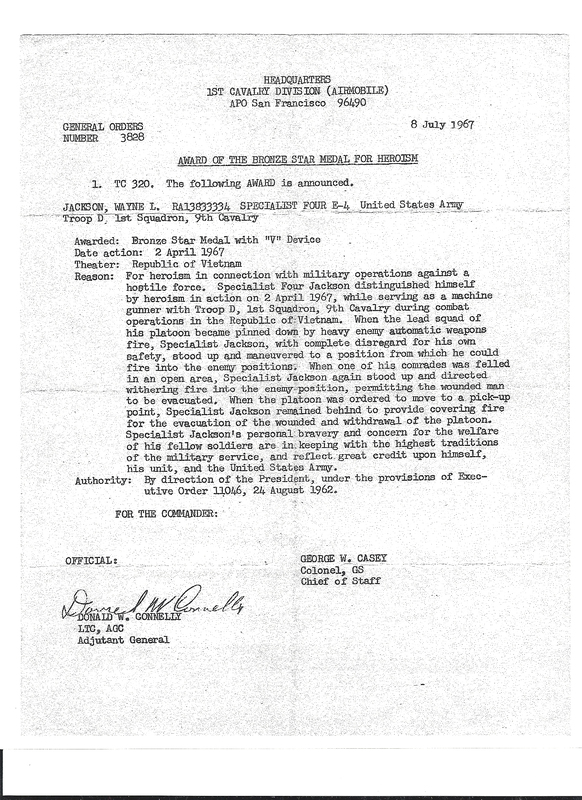 10th Mountain Division, his final duty station where he retired from. And also a member of the Delaware Army National Guard: 198th Sig. Bn. Jim Kelley Delaware Army National Guard - 116th ACSH/MASH, MOS 52 Charlie MUST Utility Pack, U.S Army Corp of Engineers 1980-86. Joe Lancello, (deceased) - Class of 1964 - US Army - October 65 - October 67 - Basic (Ft. Gordon) - AIT (Commo), (Ft. Belvoir). Jack Mahoney, Class of 1963 - Served three years in the US Army. Stationed in South Korea for one year during the USS Pueblo incident in 1968. Betsy Martin Archer, Class of 1975 - US Army from Feb 1976 to Sep 1979. I was a Sergeant and worked in Military Intelligence. I served in the 328 ASA Co. in Germany. Andy McKay, Class of 1964. Enlisted for three years in the U.S. Army, 1964-1967. Basic training at Ft. Jackson, SC, Finance School at Ft. Benjamin Harrison, Indianapolis, IN, and the rest at Ft. Campbell, KY. I was disbursing specialist (payroll clerk) in the post finance office. Had a car on post my last year and was discharge as an E-5. John L. McMinn, Class of 1963 - US Army (1965-1973). 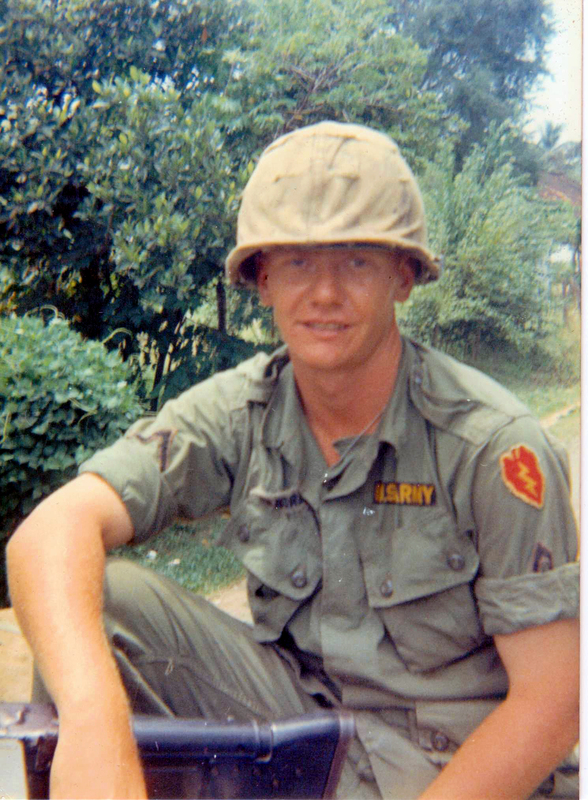 Served in Vietnam 1963-1967. Joe (Earl) Mooney, Class of 1963 - Drafted into US Army. Boot camp,MP School at Ft Gordon, GA,. Then 19 months at Sandia Base, Albuquerque , NM. 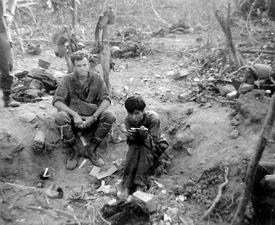 Not a bad way to spend time during the Vietnam war. Unfortunately too many funeral details in New Mexico. George Moore U.S Navy, all over the world. Bob Morris, Class of 68, US Army Oct 72-Sep 79. Two tours in Korea, 30 months with the Big Red One, Fort Riley, Kansas. Bob Murray, Class of 1965 - US Army - Served as a reconnaissance scout with the 3rd squadron 4th Calvary, 25th Infantry Division Cu Chi Vietnam. My memoirs are written in the book "They Gave Blood Sweat and Tears" by Bill Hall. My last duty assignment was at FT. Dix NJ as a drill instructor and Training NCO 1967-68. James W Neal, U.S.Army, 1965-1971 - Special Forces - 65' to 67', Okinawa, Japan. Ft. Jackson, S.C., Fort Gordon, GA., Fort Knox, KY., Served in Reserves, 68' - 71', Fort Lee, VA.
William Reign, Class of 1943 - I served in the US Navy from Aug 1943 to May 1946. 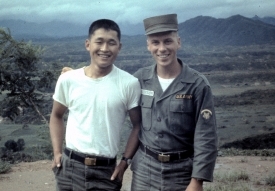 Bill Reinike, Class of 1965 - U.S. Army from 1965 – 1969. 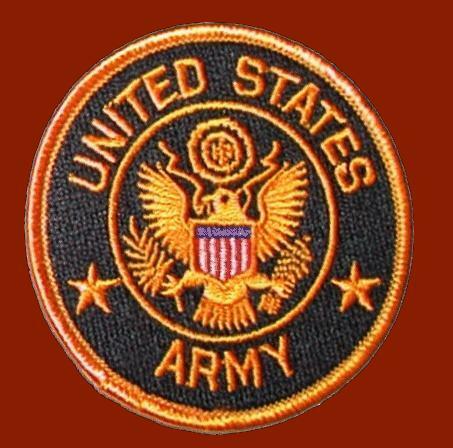 I served in Korea for 20 months (2/66 through 10/67), where I attained the rank of sergeant. Monica Richardson, Class of 1964 - USAF Nurse Corp, Sept 1971 to Jan 1984. Schools: Flight Nurse and OB-GYN Nurse Practitioner. Stationed: New Mexico; Spain; South Dakota; Florida; Guam; and New York. Richard W. Roberts, Class of 1975 - 3rd Mate, SS Electric Marine, deceased February 12, 1983 when his boat sank. > 8th Army, S. Korea, 7th Msl Bn (HAWK), 5th Arty (63-64). I enlisted with two other Conradians under the "Buddy System" (Tom Abbott and Clay Will, both Class of 1961). But then, we each went into different fields of advanced training. 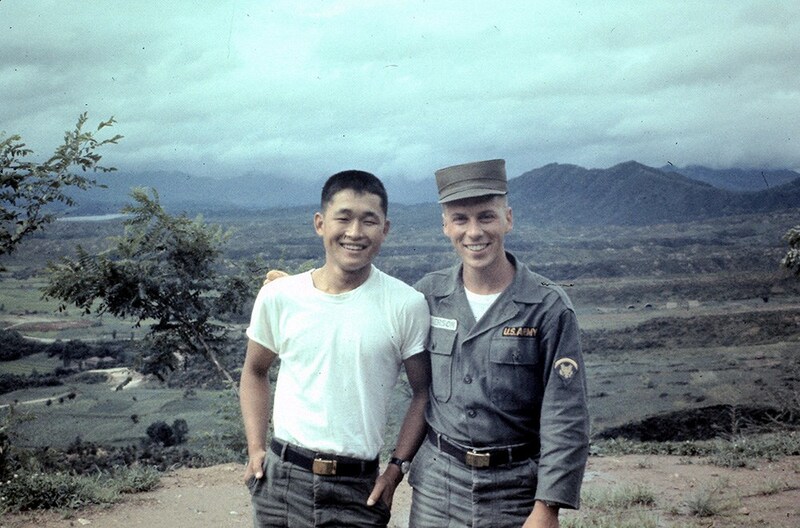 With the DMZ beyond the mountains behind us, I'm with fellow S. Korean soldier, Kim (1964). Clara Simpers Tinker, Class of 1973 - Delaware Army National Guard - 1977-1997 - 20 years and 1 month. Paul Stratton, Class of 1966 - Retired SFC Infantry and Army Aviation Company Operation NCO. 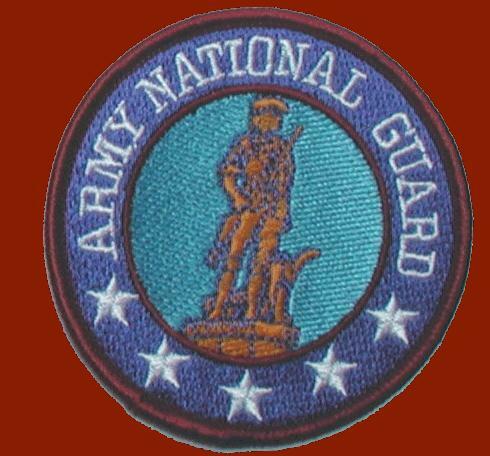 Delaware and Maryland National Guard from 1970 to 1996. Warren E. (Bud) Taylor - Class of 1964 - U.S. Army, Spec 4, helicopter crewman '68-'72. William F. (Bill) Taylor - Class of 1963 - U.S. Air Force, Capt, pilot, Aircraft Commander, Flight Commander '68-'74. Cathy A. Timko, Class of 1968 - US Army, Women Army Corp, in 1968. 1968 -1969 served at Ft. McCellan, AL; Ft. Gordon, GA & White Sands Missle Range, New Mexico. 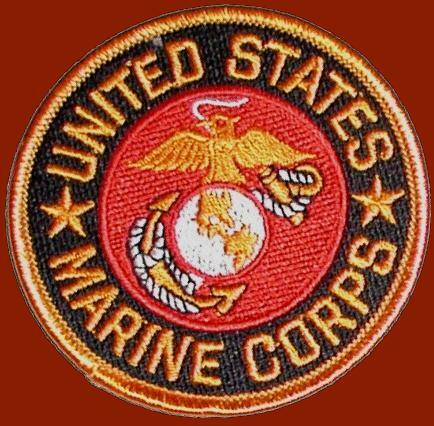 1969-1971, assigned to Supreme Headquarters, Allied Powers, Europe / Belgium. Recon team leader with 196th Light Infantry Brigade; 4th Bn/31st Inf, 23rd Inf Division (Americal). I was an RTO in Vietnam. I had my choice of an M-6o machine-gun or a PRC 25 radio. I’ve always been kind of chatty, I took the radio. When I came home I was assigned to the “Honor Guard” at Ft. Myers where I helped honor veterans who passed away. My platoon were pall bearers who also folded and presented the flag to the family.